How can Hypnotherapy and NLP help illness? Autoimmune disorders are a relatively new health challenge that are coming to light, and is faced by more than 24 million people through out their lifetime. There are at present over 80 known autoimmune disorders. As environmental tensions and chemical pollution levels rise, this figure will continue to increase in numbers and variety of these disorders. Autoimmune disease shares commonalities with allergies; inappropriate immune response. In fact, autoimmune disease could be closely described as “an allergy on the inside”. Whereas allergies involve an unacceptable immune response toward an external anti-agent, an autoimmune disorder includes an unacceptable immune response toward the immune system’s own host body. Some known Autoimmune diseases include rheumatoid arthritis, lupus, multiple sclerosis, psoriasis, celiac disease, thyroid disease, and the many other difficult to classify syndromes in the 21st century. Autoimmune diseases at the root cause are connected by one central biochemical process; a runaway immune response also known as systemic inflammation that results in your body attacking its own tissues. Your immune system is your barrier defence system against invaders. It is your internal support network and its role is to clearly distinguish friend from foe. Autoimmunity occurs when your immune system gets confused and your own tissues get caught in the friendly mash up. Your body is often battling something, an infection, a toxin, an allergen, a food or a stress response, a virus, all of these are experienced through your system as an attack on your joints, your brain, your thyroid, your gut, your skin, or sometimes your whole body. This immune confusion results from what is referred to as molecular imitating. Conventional approaches don’t have a method for finding the invader causing the problem. Functional medicine provides a map to find out which molecule the cells are imitating. It is also interesting to note that autoimmune disorders occur mostly exclusively in developed countries. In our busy stressful society, where time seems to be a limited resource, we have less time to pay attention to what our body is telling us, and near no time for relaxation, exercise or to prepare healthy meals. People in under developed countries without modern amenities like clean running water, flush toilets, washing machines, or proper health care, don’t experience these diseases. Lifestyle choices is a great contributor to the quality of your life, for instance if you lived on a farm with animals, nature, bushland, away from highly dense polluted areas and busy lifestyles you are also less likely to be affected by any of these autoimmune disorders. Being exposed to dirt, living in a calm balanced setting can be helpful to train your immune system to recognize what is foreign as well as give it time to strengthen and recover. Autoimmune diseases, when considered all together, are becoming a growing health crisis. It is the eighth leading cause of death among women, shortening the average life expectancy by eight years. Unfortunately, many of the conventional treatments available can sometimes leave you feeling even more helpless and worst than prior to treatment. Most of us are advised to rely on anti-inflammatory drugs like Advil, or steroids, which can lead to worsening the condition further, without providing any real solution. When dealing with autoimmune disorders, it’s often a good idea to work with natural resources and therapies along side conventional practitioners. Alternative medicine has shown promising results with regard to helping clients resolve allergy issues. Practitioners of Hypnotherapy, N.L.P. and various energy healing modalities have all experienced successes with allergies. Due to the common aspects of allergies and autoimmune disorders, it may be possible to achieve similar results in helping resolve immune response issues. As we know, the major contributors of autoimmune disease is related to our social environment, our physical, emotional and mental being, and choice of lifestyle. Users of NLP and Hypnotherapy believe all learning, beliefs and behavior is learnt in the subconscious mind. My question to you is, can we therefore learn a new way of being when confronted by something like multiple sclerosis, anxiety and depression, or celiac disease? We all have a choice, we can choose to find a better way, or surrender to accepting helplessness. Knowing that you are the driver of our own mind, you decide which path to take, what you want to experience, you have a choice to learn how to conquer the journey or to give in. The human being is a creator, a natural being of light, it naturally strives to progress, to improve, so why not use it to its fullest potential. So is it possible to reprogram your thoughts and behaviour about a particular health belief you have about yourself? After all isn’t it a habit created by us? If we fail to make use of the extraordinary power of the subconscious mind, we sentence ourselves to live within the limitations we’ve created for ourselves. We must know how it works and how to use it to operate and become our optimum self. As the famous psychiatrist and hypnotherapist Milton Erickson once said: “The subconscious mind is like a warehouse of resources and most people go into the warehouse with a little flashlight rather than turning on all the lights.” In simple terms we choose what resources we want to work with at the time, so why not choose the ones that will empower you. Many difficulties, habits, diseases, illness, compulsions, nervous disorders, neuroses and mentally generated illnesses involve some part of the subconscious. It is hard sometimes to understand that the very area that is creating a problem is the same area that protects us from harm and danger every day. By using hypnosis, and NLP techniques we can learn the scientific way to tap into the territory of infinite power within us, allowing us to get what we really want in life. Only using our conscious mind sets boundaries. If we desire a happier, fuller, and richer life, let’s begin to use the power of our subconscious mind. And we can set ourselves up for success. The subconscious mind is really where all learning, beliefs, habits, behaviour is created, and it is also where change occurs. Angie Singh is certified in NLP, Time Line Therapy ®, Hypnotherapy, and Life Coaching, with a background in Psychology. She believes people are not their behaviours, and that we all desire to be our best. She specialise in assisting clients with emotional and psychological challenges such as motivation, anger management, stress, anxiety, depression, fears & phobias. 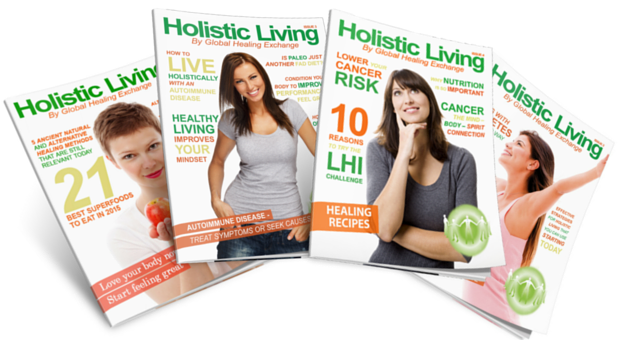 The FULL version of this article is featured in our quarterly eZine, ‘Holistic Living Magazine’… grab YOUR copy now at NO COST and read many more articles about autoimmune disease too!